First introduced in 2011, the Nissan Almera is an aging player in the hotly contested B-segment sedan market, which is huge not just in South East Asia, but also India. While the Toyota Vios and Honda City have progressed much, the Nissan Almera is still more or less the same, except for some minor styling changes. When it was launched in Malaysia in 2012, the Almera boasted of having class-leading rear legroom and boot space, packaged within a very competitive price – all of which didn’t last long as these unique selling points were quickly decimated when the all-new Honda City came along in 2014. The new Toyota Vios too has been significantly updated and it now has the quietest cabin in its class. Against this lot, the aging Almera can’t keep pace. 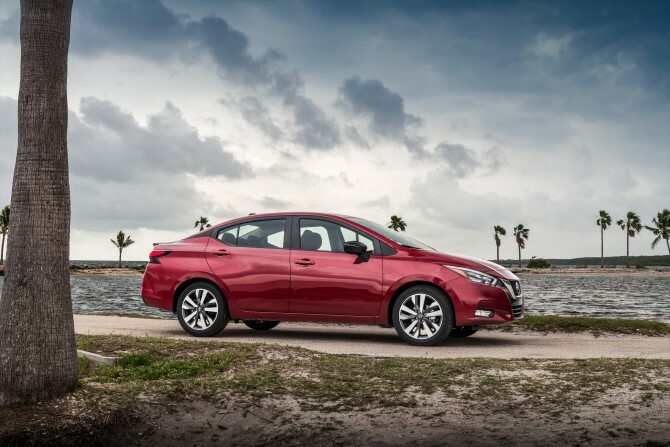 Today, Nissan USA has announced that an all-new Nissan Versa, as the Almera is known as there, will go on sale there in the second half of this year. 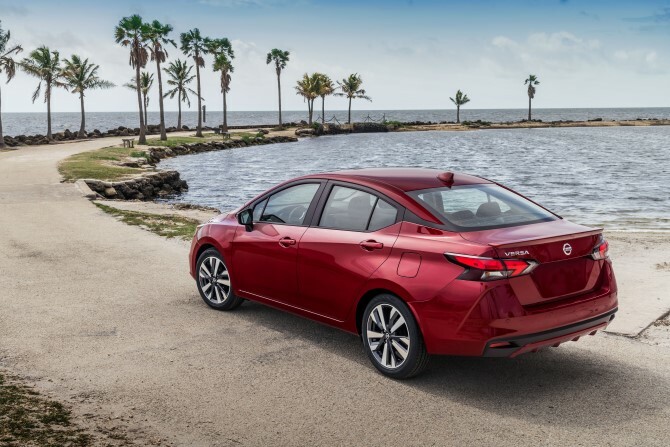 At a glance, the all-new model looks a lot better than the frumpy looking outgoing model. The V-motion grille and semi-floating look C-pillars have design elements borrowed from the US-market Altima (Teana). Inside, the cabin is a lot prettier than before, with a sportier flat-bottom steering wheel and an infotainment system that supports Android Auto and Apple CarPlay. Of course, this being a Nissan, one shouldn’t assume that the car we see here will be same as the one that’s bound for our region. 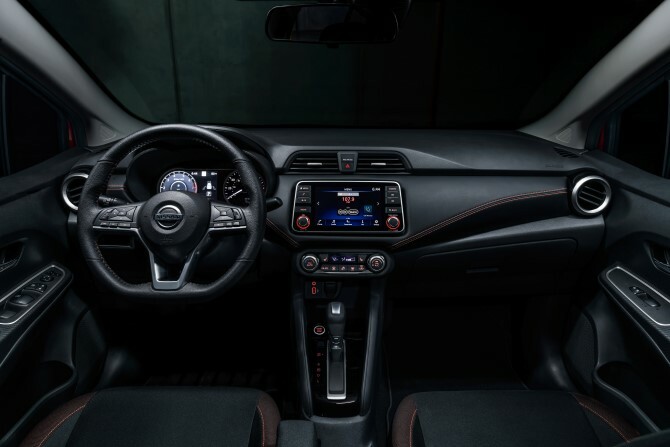 It is not uncommon for Nissan to offer several slightly different dashboards for different regions. Standard safety features (US market model) have also been upgraded to include Automatic Emergency Braking with Pedestrian Detection, Rear Automatic Braking, Lane Departure Warning and High Beam Assist. Also available on higher range variants are Blind Spot Warning, Rear Cross Traffic Alert, Intelligent Driver Alertness and Intelligent Cruise Control. The US market Almera also uses a different engine - a 1.6-litre petrol four-cylinder paired to a CVT-type automatic. The all-new model will continue to use this same drivetrain. Elsewhere, the outgoing Almera is sold either with a 1.2-litre petrol (Thailand), 1.5-litre petrol (Malaysia, Indonesia), and a 1.5-litre diesel (India). The biggest right-hand drive markets for the Almera are Thailand and India, but both countries use different engines for their Almeras (1.2-litre petrol for Thailand, 1.5-litre diesel for India). Introduction in Malaysia is not expected to happen until 2021, at least.